The Dingle Peninsula is a place that has a strong pull for Mark Doherty, even during his time off. He talks about what this amazing place and the wealth of things to do, see and experience. Mark- “You don’t get to Dingle by accident; it is on the way to nothing but itself” Andrew McCarthy from National Geographic Traveler. 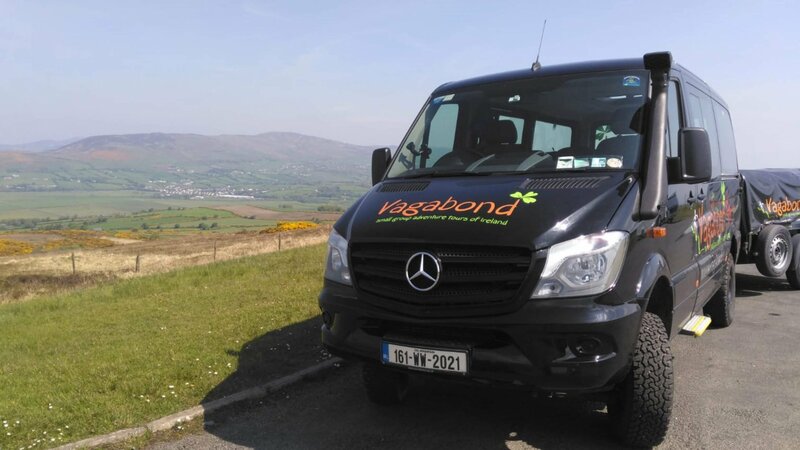 The views of rolling hills from Conor Pass is something truly encapsulating when the Dingle peninsula unfolds in front of you. When you arrive from the north east, the majestic Slieve Mish mountains come into view as you leave Tralee. When you arrive from the south east, the one hour drive from Killarney is richly rewarded when Dingle town finally reveals itself after the countless rolling patchwork of hills. 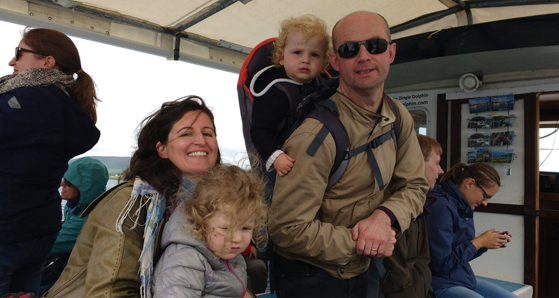 Tour guide Mark Doherty with his family in Dingle. 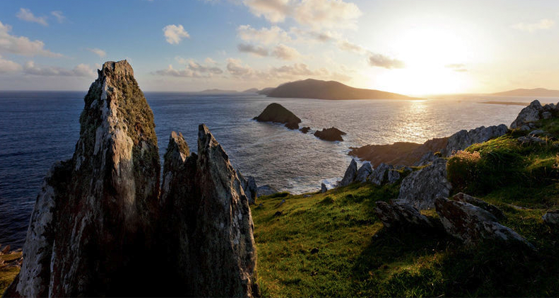 The Dingle Peninsula has it all. There is no other area of Ireland that manages to cram in so much into such a small space. 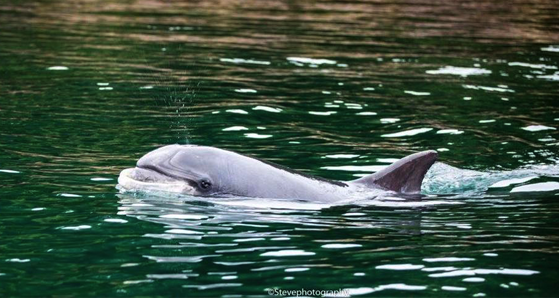 It’s well known for the warm welcomes from the locals, the most famous local being Fungie the dolphin! The most famous local in Dingle being Fungie the dolphin! 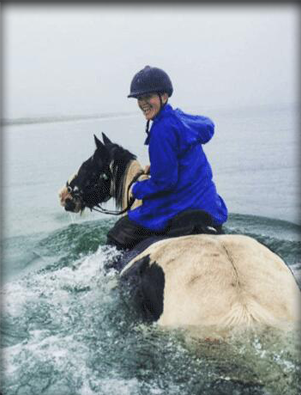 If you’re feeling active you can choose from sea kayaking, horse riding, fishing, visiting a sheep farm, surfing, golf and wonderful hikes from deserted coastal trails to the summit of Ireland’s second highest mountain, Mount Brandon. You’ve probably already heard about the endless choice of pubs. But did you realise Dingle has its own Whiskey, Vodka, Gin as well as two breweries. 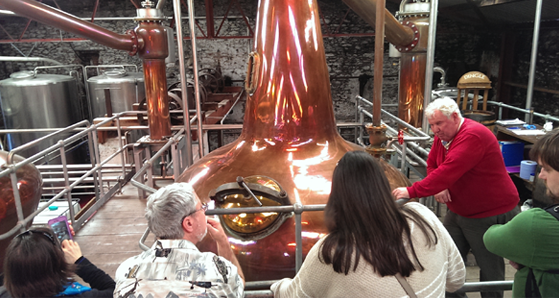 Passengers getting a tour of the Dingle Gin Distillery. For history buffs, the peninsula has approximately 2,000 listed antiquities. It’s quite simply impossible to tour the area without witnessing reminders of the past. If you love craft you’ll be astounded at all the creativity that surrounds this town including the superb crystal cutter Sean Daly, the fabulous jeweler, Brian De Staic, who was commissioned by our government to create and present a piece for Pope John Paul II and wonderful weavers such as Fiadh Durham and Lisbeth Mulcahy. Throughout Dingle there are crafts people who work with clay, stone, wool, wood, metal and paint. 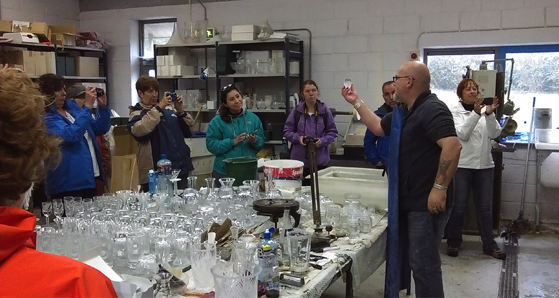 Crystal cutter and owner of Dingle Crystal, Sean Daly. Shows off his work. If you are a fan of traditional Irish music, Dingle is second to nowhere. 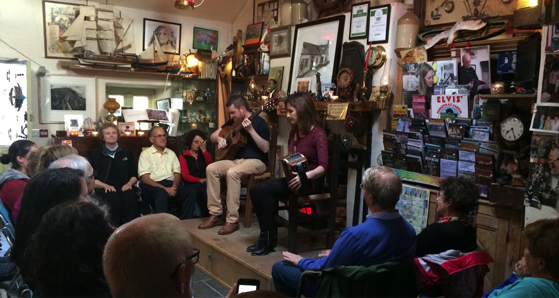 An Siopa Ceoil – The music shop in Dingle. 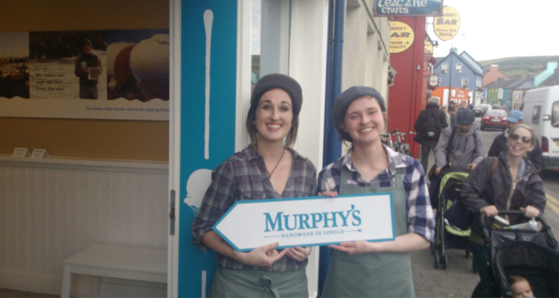 Dingle has recently won “Foodie Capital of Ireland”, but when it comes to desserts, everyone goes to Murphy’s for ice cream. Murphy’s Ice Cream, the perfect post dinner treat in the foodie capital of Ireland. If it all seems a little familiar, note that its location was used in the classic movie, Ryan’s Daughter (and the not so classic, Far and Away!). 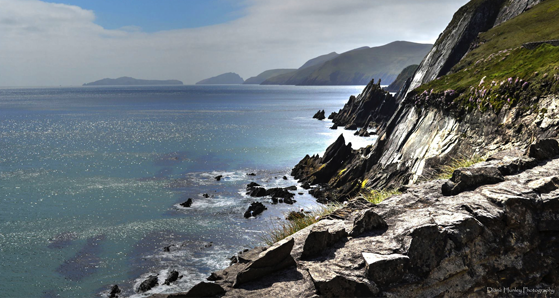 The Dingle Peninsula has some of the finest scenery in Ireland including the highest pass in Ireland, the Conor Pass, and Ireland’s most western drive, the Slea Head drive. 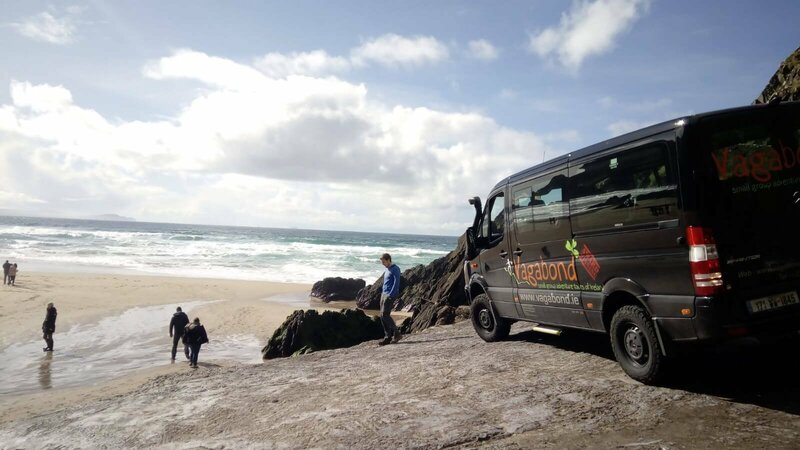 This amazing coastal tour includes the village of Duncaoin which is locally referred to as “the next parish to America”. 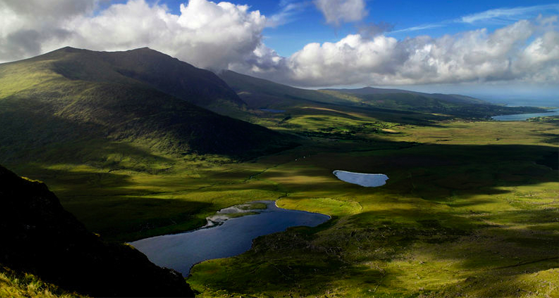 Dingle encapsulates the very best that Ireland has to offer. No tour of Ireland is complete without Dingle. It simply doesn’t get better than this. 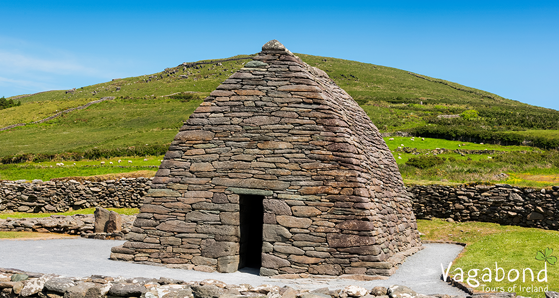 Contact us today to find out more about our tours that visit Dingle.